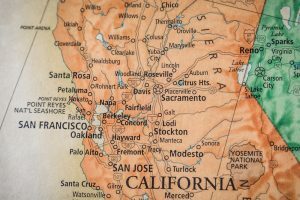 California has quite a few different EMT training programs. The programs are usually in the form of certificate courses with some also being for an Associate’s Degree. The most common place where EMT programs are offered is at colleges and universities. There are also Fire/Emergency Technology Degrees and Paramedic Technician Degree options. EMT, Paramedic and First responder refresher courses are also offered throughout the state. There are physical criteria you should meet if you are going to work as an EMT. You will likely need to be able to lift about 200-225 pounds on your own. It will be necessary to lift up to at least 250 pounds with help. You will need to have a completely physical exam conducted to make sure you are healthy and physically fit to work in this field. It will be necessary to have all vaccines and to have negative TB testing. There are certain core topics that must be covered in any EMT-Basic or Paramedic Course. That being said, the exact curriculum layout will vary some from one program to another. Some programs are for certificates and others are for associate degrees. Let’s look at a couple EMT/Paramedic Schools. American RIver College: They offer a couple different EMT programs. Training is provided through classroom lessons, labs and hands on experience. Contact the school to determine any particular requirements you must meet in order to enroll in one of the EMT programs. EMT Basic Certificate: This course provides you with the training and knowledge you need to work as an EMT at the basic level. The course will take you a few months to complete. You can expand on this training to later become a Paramedic or even to earn a college Degree. You can expect to have field experience in addition to your classes before graduating from the course. EMT Paramedic Certificate: This is a certificate based program that will take a couple semesters to complete. It provides you with the clinical experience you need and theory background to work as a Paramedic. You will build upon materials you already learned when you became an EMT-Basic. Associate in Science EMT Paramedic: This is a two year program that will provide you all the training necessary to work as a Paramedic. Because this is a degree based program, you will also need to take a number of General Education Courses. Some of the courses you may take will include: Math, English, Social/Psychological sciences, Anatomy and Physiology and a number of EMT specific courses. School Type: This is a public school offering primarily 2 year degrees. It is in a suburban location. Fresno College: This college offers a paramedic training program. They do not provide other EMT courses at this time. This college offers a range of two year programs and career training options. Pre-Hospital Paramedic Care Certificate: This program prepares individuals to work as base level paramedics. The course has not only classroom instructions but also clinical and field experience under proper supervision. The course is for credit and will cover 45 credit hours in total. As such, it will take a few semesters to complete. Santa Rosa Junior College: This college offers a few different EMT courses. They also offer a 24-hour Refresher course. That course is for EMTs who need to recertify/meet continuing education courses. It is only offered on weekends. EMT Level 1 Certificate: The program provides students with both the clinical and lecture style instruction they need to become an EMT. It prepares students to sit for exam for certification as a basic level EMT. Paramedic Certificate: This course provides students classroom and lab instruction as well as hands on experience. They will learn how to work as a Paramedic and will be well versed to take their licensing exam. It will take a few semesters to finish . Paramedic Associate in Science: People who wish to become Paramedics can also take the Associate Degree. They will learn all the same material as in the certificate program to be a Paramedic. However, they will also take other general education classes and college courses to provide a well rounded degree. The curriculum for EMT and Paramedic courses will be such that it provides students with the background information and skills experience they need to not only pass the certification exam but to also work well as an EMT. When you take an accredited training program, you will be prepared to sit for the certification exam. You must pass both the skills and written portion to become certified. The exam you take will depend on the level of EMT or Paramedic Training. Some locations might refer to EMTs as an EMT-Paramedic. That being said there are some differentiating factors between an EMT-Basic or Advanced and a Paramedic. Paramedics can usually carry out more procedures. They often require more training and may receive higher salaries. 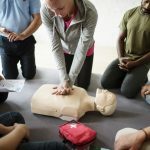 Question: Can I enter Paramedic training without having my EMT-Basic Training? In many cases the answer is no. You will usually need to start with entry level EMT training. There may be exceptions if your Paramedic Degree is leveled to allow you to become EMT-Basic trained before progressing through your course. Question: How long will my training take? Training programs will vary depending on the EMT level of study and your program of interest. EMT-Basic programs often last as little as 4 months. Intermediate programs can be 6 months to one year. And most Paramedic programs are at last one year with some lasting for two years-usually resulting in an Associate’s Degree. Depending on your circumstances and the college where you will study, there are potential financial assistance options available. You may qualify for grants and work study if you are taking a for credit course. There are scholarships offered through organizations, employers, foundations, companies and even colleges directly. Some of these scholarships could be applied to an EMT or Paramedic Training program. You may have Veterans, military or unemployment benefits that would also help you to train for an EMT or Paramedic career. Does my EMT certification last indefinitely? No. In most cases you will need to recertify every couple years. There are times when you need to take refresher courses. You may also need to complete other continuing education courses throughout the course of your career as an EMT. If you allow your certification to expire, it might be necessary to retake the state certification exam.